Rent Historic Rosemont Manor | Corporate Events | Wedding Locations, Event Spaces and Party Venues. 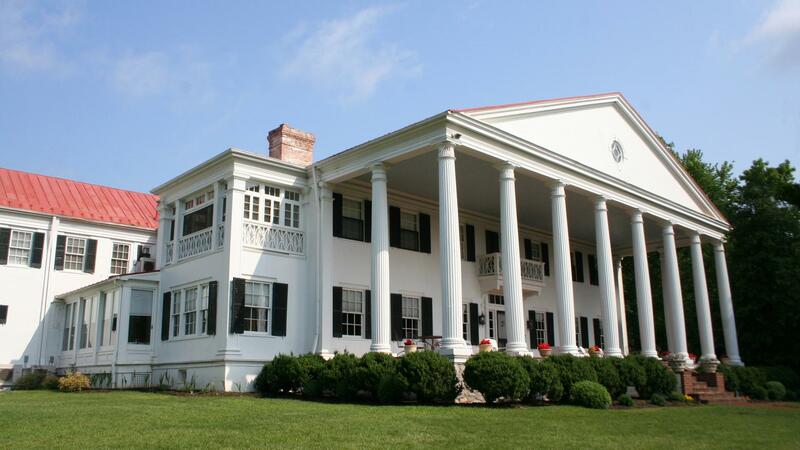 A fine old Virginia mansion set on a knoll facing east over the Shenandoah Valley, Rosemont has been a landmark in the Northern Virginia area since its original construction in 1811 and a haven for the Washington elite. Purchased in the late 1920s by the late Virginia Governor and U.S. Senator Harry F. Byrd, Sr., Rosemont would come to be visited by Presidents Roosevelt, Eisenhower, Kennedy, Johnson and Nixon, as well as many well-known celebrities and historical figures. Sunday weddings are becoming a more popular option for couples every year—and especially at Historic Rosemont Manor! Why? Certainly there is the unparalleled elegance that no other ceremony and reception venue in the Northern Virginia area can match. A Sunday wedding at Rosemont can also be a great way to significantly save on cost. But most of all, our extended venue time (up to 14 hours! ), allows the wedding party to relax and enjoy family and friends on the beautiful and spacious estate grounds, making the most of this memorable occasion. Perhaps you’ll arrive for your wedding pulling up to the Manor in a horse-drawn carriage, or receive guests in the stunningly spacious Grand Foyer. You may choose to hold your ceremony on the East Lawn with a breath-taking view of the Blue Ridge Mountains or under one of our stately, historic trees. You can catch up with out-of-town guests under the columns of the panoramic Grand Portico, built in Greek Revival Style. Maybe you’d like to toss your bouquet from the graceful sweep of the gallery level staircase or from the balcony of the Byrd Study. No matter what options you choose, we’ll work to ensure that every moment of your wedding day is unforgettable. After the ceremony and cocktail hour, your guests will make their way down to the fully-restored Carriage House.